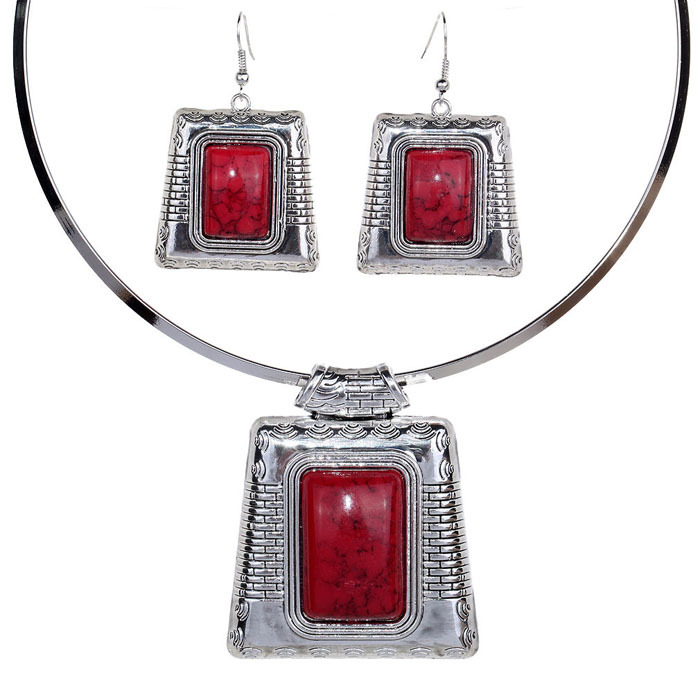 Cast in metal with geometric design and red formica stones, Madilyn Boho Necklace Set reflects the wearer's personality. Matching necklace and drop earrings. Buying jewellery online has never been so easy and fun. We hope you enjoy shopping at Oz Bling.